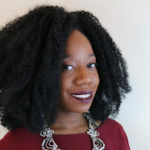 Wednesday host Lilada Gee chats with Kimberly Foster, cultural critic and founder and editor-in-chief of For Harriet, a multi-platform digital community for Black women. They speak with two local Madison activists, Sagashus Levingston and Ali Muldrow. Topics include feminism vs. womanism, dating, social media, and the experience of Black girls.